'Congratulations on becoming a firefighter - now go and pick up a hospital patient and cross your fingers that no one needs a fire put out while you're at it.' 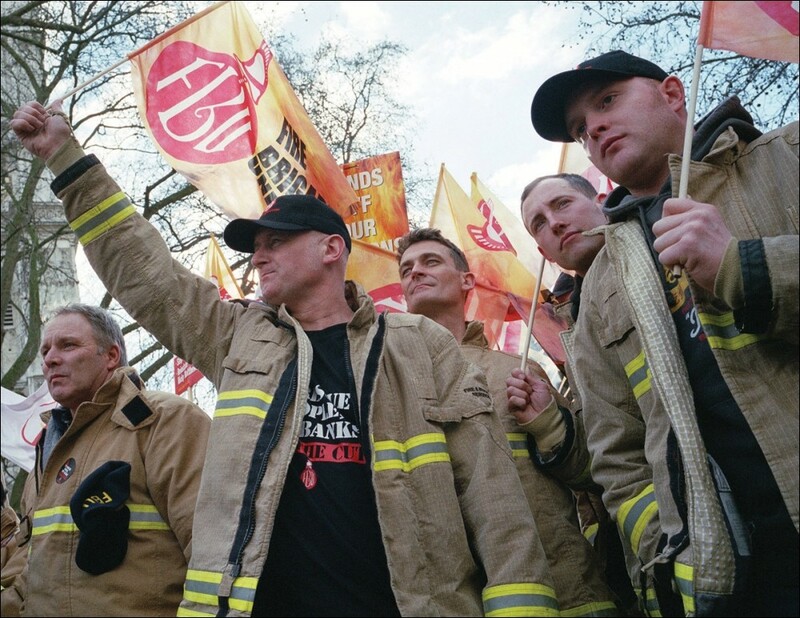 That is the barmy future planned for firefighters by the Labour-led West Midlands Fire Authority, but a future that won't be accepted by firefighters and emergency control operators, who are now balloting for strike action. The planned contracts would mean new firefighters having to take on non-fire service duties - like those you'd expect NHS workers to be employed to do. In fact, it's already happening - loss-making 'care contracts' signed by the fire authority have already taken fire staff and engines off frontline duties. These changes come under what firefighters describe as an anti-union, bullying management that is also introducing flexible working - that's flexible for the bosses of course, changing working hours at short notice. Dial-a-firefighter: the gig economy for trained emergency staff, implemented by a Labour-led fire authority which is also suspending employees for union campaigning. No wonder Fire Brigade Union (FBU) members have had enough! On 30 April, the day before balloting began, FBU general secretary Matt Wrack spoke to many union members at meetings in Solihull and Dudley. 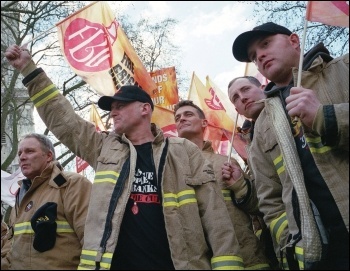 Socialist Party members gave support to the firefighters at the Solihull meeting, who were glad to hear that anti-cuts TUSC candidates are standing in the 3 May local elections against right-wing, anti-union, anti-Corbyn Labour councillors - the sort that lead the county's fire authority. Ten copies of the Socialist were bought. Last year saw Birmingham's bin workers take strike action to stop job cuts and savage pay cuts attempted by the city's Labour council - showing that organised, hard fought action can win. As one person going into the meeting said: "This could be the 2018 Birmingham bins." This version of this article was first posted on the Socialist Party website on 2 May 2018 and may vary slightly from the version subsequently printed in The Socialist.